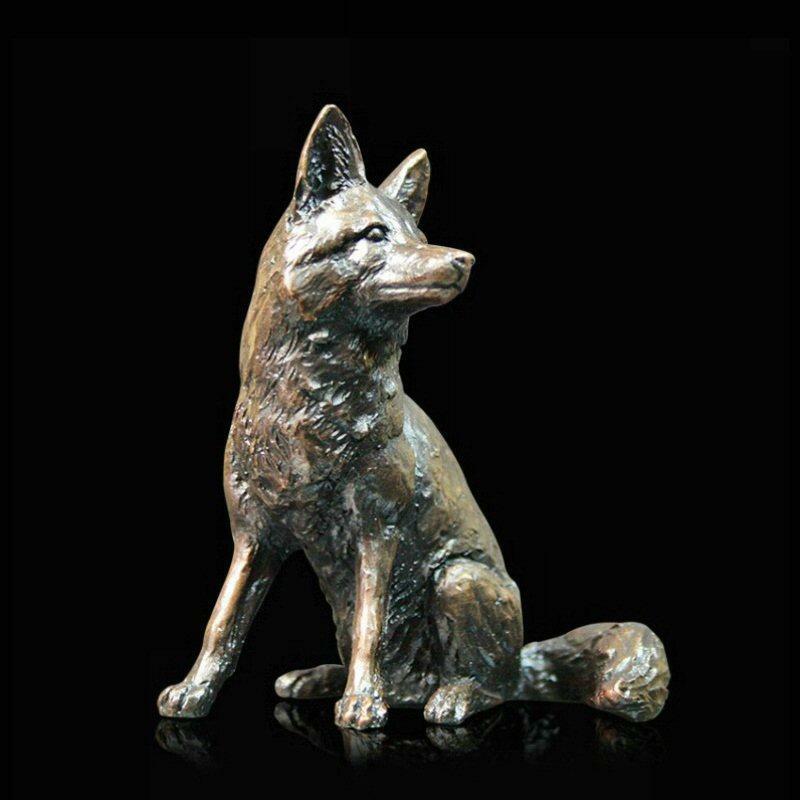 Bronze sculpture by Keith Sherwin of a fox sitting. The fox is one of the country's most familiar wildlife sightings - highly adaptable, foxes are comfortable in both rural and urban areas. Fast moving and with exceptional night vision, foxes are excellent nocturnal hunters. This solid bronze, limited edition sculpture has beautiful detailing and would be the perfect gift for any lover of these wily creatures.